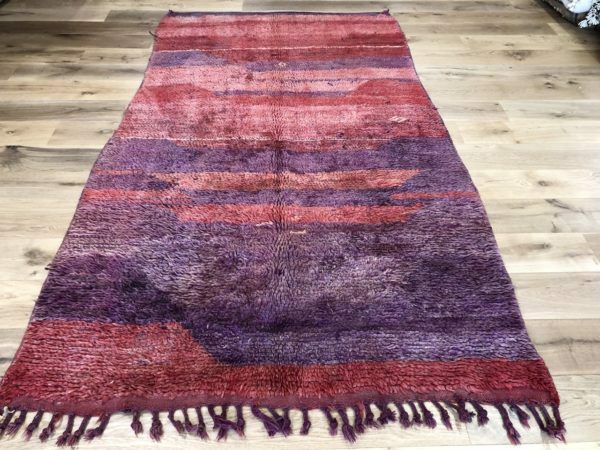 From handmade rag rugs to bright coloured kilims and pile carpets, these rugs are ideal for kids bedrooms and play areas. From shaggy pile to soft and bright, they guarantee to add that extra fun factor to that special room! 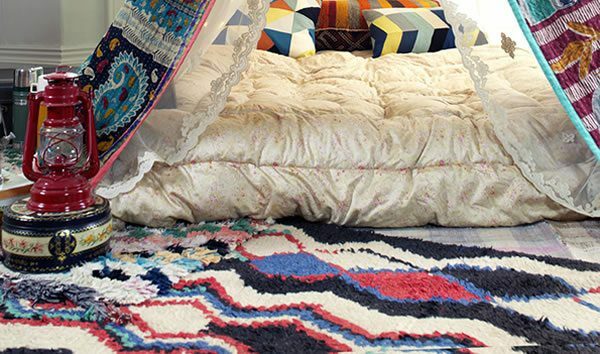 These vintage Moroccan boucherouite rugs are handmade by Berber woman and have a shaggy pile. They are often small to medium in size (under 170x240cm or under 6x9Feet) and are therefore easy to handle and move around to redecorate or clean. They always come in bright and funky colour combo s, hence they make such great children’s rugs. the term boucherouite means rag rug which reflects exactly what goes in to these unique floor coverings. 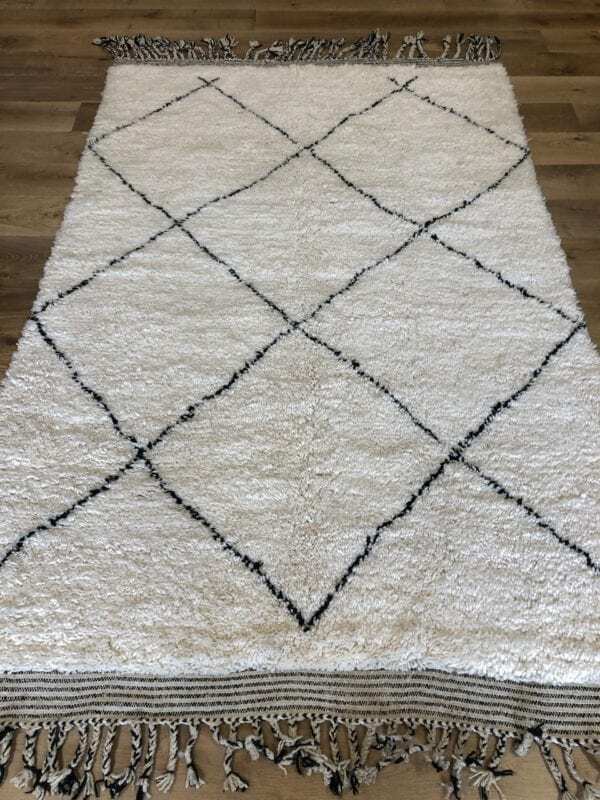 Using sustainable materials like cotton, synthetic fibres and scraps of wool these rugs are highly decorative vintage rugs yet with a contemporary look and feel. With their bussy patterns in bright colours and their sturdy weave, they make a real statement rug for that special room! From playful Moroccan Azilal rugs to bright coloured pile rugs, these rugs are made from 100% wool and add texture to your kids room or playroom. They are comfortable to sit on and fun to look at, they are unique in design and so much more than a standard rug. These small to medium sized rugs are smaller than 200x300cm or under 7×10 feet. They are just what you need to brighten up your kids room. Our Turkish Caput kilim collection is undoubtfully a smart choice for a children’s rug. They come in a variety of striped patterns of bright or pastel colours. 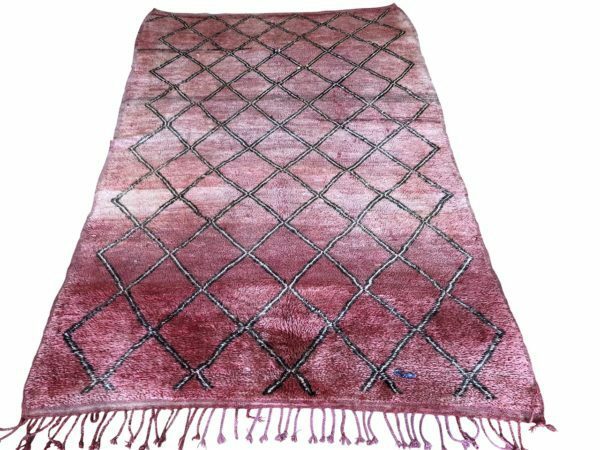 These handmade kilims are woven with mixed fibres of cotton and goat hair and their course and sturdy weave is incredibly durable. The larger kilims are often made up of narrow parts stitched together. Where needed these kilims can easily be adjusted in length without the overall design or look being affected. 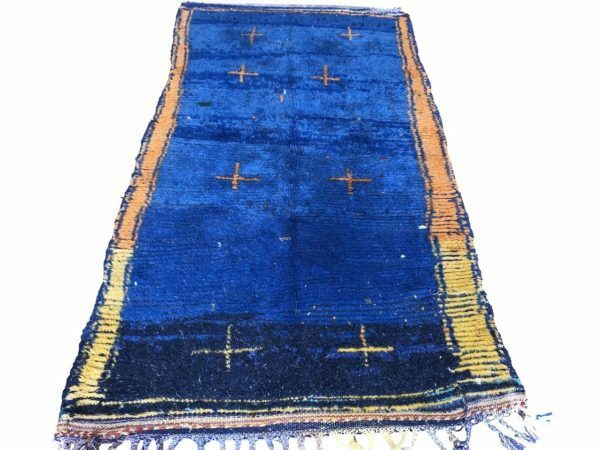 These vintage kilims are in excellent condition and have a contemporary look and feel. 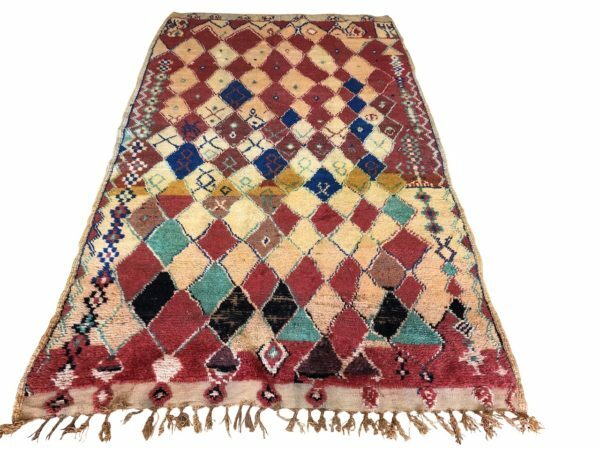 Kilims can be sturdy and coarse or lightweight and flexible. With their vibrant colours they can work well as kids rugs or as playroom carpet. The more heavy weight kilims are great floor covers and add that splash of colour your real want from a kids rug. 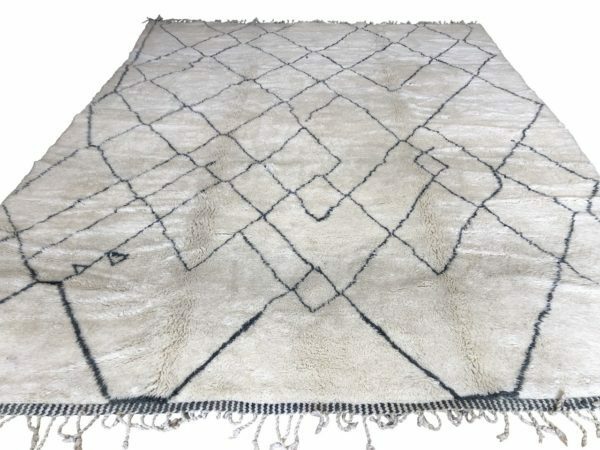 some of the more lightweight kilims can also be used as floorings and they have the additional charm that they can also be used as curtains, room divider or funky bedcover. Browse through our collection of colourful kilims and get inspired.